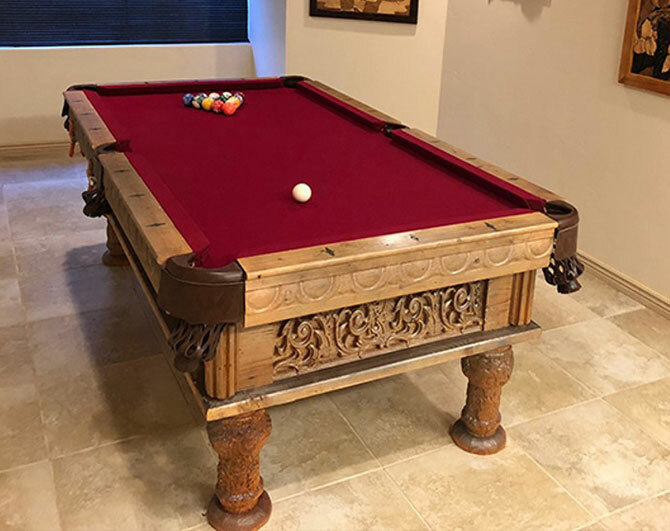 Gary Mast has had to make the jump from working 80+ hours a week for over 30 years to enjoying his retirement, to fill up his time he has taken to the world of CNC. 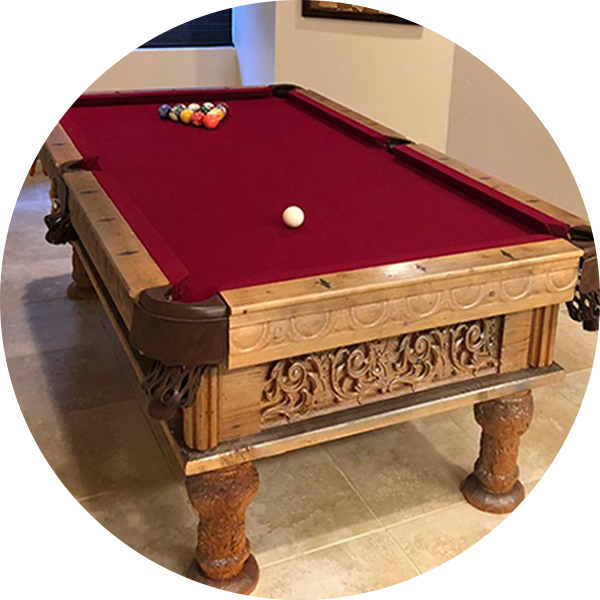 You may have seen Gary’s outstanding work on the Vectric Forum and his posts have gained a lot of attention – especially his latest piece a 7ft pool table. In 1967, while I was still in high school, I bought into a very small equipment rental business. After my graduation I became manager. About 3-years later, the original owner died and I was able to acquire 50% ownership of the business. In the 1990’s I became 100% owner and by 1997 I built the company to five locations and became the largest Equipment Rental Company in Utah. In 1997, the year United Rentals was established, I became the first company they bought out before going public – I retired two months my 47th birthday. I went from working 80-hours a week for the past three decades, to suddenly having nothing to do. It was at this point I decided I wanted to pursue a hobby in making things out of wood, so I decided to buy a Laser Engraver. I found it to be very unsatisfying and soon after replaced it with my first CNC machine. The software package being sold alongside the CNC machine I was looking at was very expensive, so I needed to find an alternative with the same functionality. The company I bought the CNC machine from recommended a brand-new company with software much more affordable called Vectric, so I initially purchased their Cut3D and VCarve programs. In 2008 Vectric launched a new product called Aspire, I wanted to get more into 3D modelling, so I bought it soon after. Although I own Cut3D, VCarve Pro and PhotoVCarve, since Aspire came out I haven’t needed to use the other Vectric software. Aspire is the main software I use on every project. I even use it to generate the art and vectors for use in my laser cutter and vectors for the plasma cutter. I make sure I upgrade Aspire to get all the new goodies. As far as machinery goes, you name it, I have probably owned it. I converted my own RV garage at my home with everything needed for woodworking. 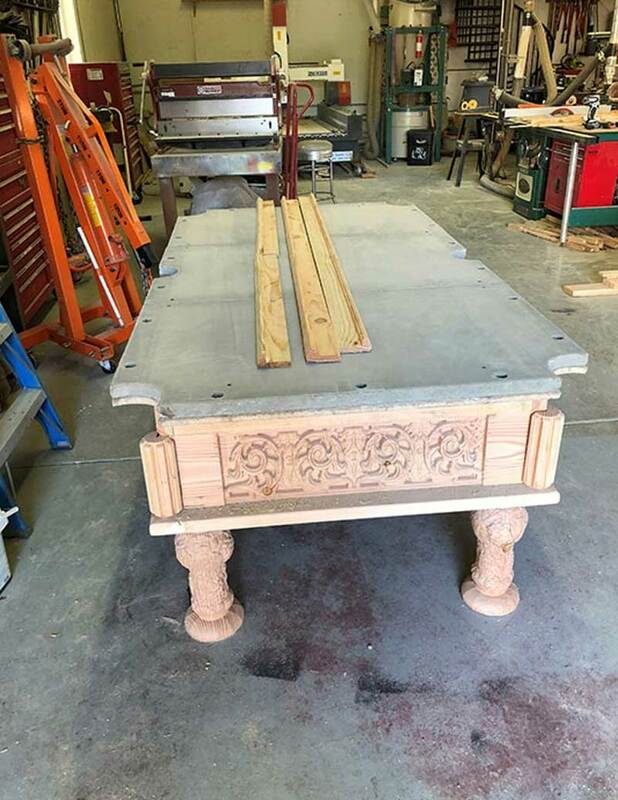 Currently I have a CNC, 400-watt laser cutter, 12” table saw, 18” bandsaw, Grizzly 5-hp cyclone dust collector, drum sander, commercial grade 3-D printer, Lathe and Mill, just to name a few items in my shop.